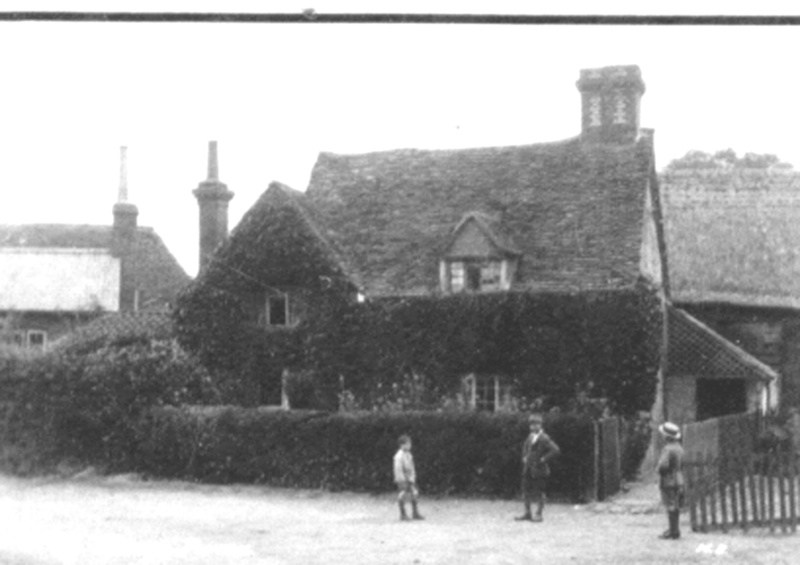 1890s Charles and Phoebe Burton, standing at the gates of Ivy Cottage, opposite the church. The Burtons were smallholders and also bought and sold animal food. The miller’s wagon, covered with the canvas tilt, could be delivering or collecting from the extensive barns to the right of the cottage. The barn on the right of the cottage. Ivy Cottage without the ivy.